It&apos;s not how much we give but how much love we put into giving. 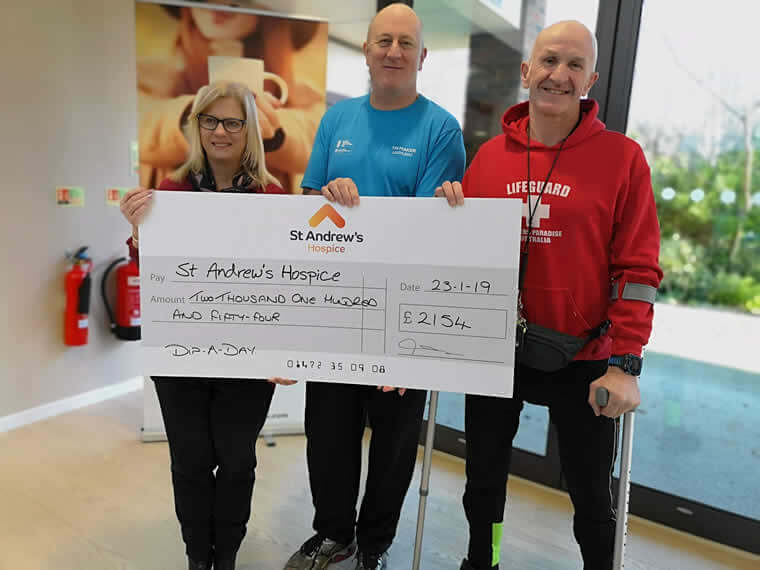 Easyas Web Design have been supporting local charities since we founded the business, we plan to continue giving back by supporting St. Andrews Hospice this year for 2019. David Herriott, 54 and Steve Cook, 56, pledged to take part in the Dip-a-Day in December challenge to raise money for Andy&apos;s Hospice in the town. David and Steve were exceptionally thankful for the support they had received from friends, the sporting community, local businesses and members of the public. The challenge involved a swim 1900M - bike 90KM - Run 21KM also know as a half ironman distance. This was tough challenge and the weather never helped by consitley raining all day thoughout the eventy. 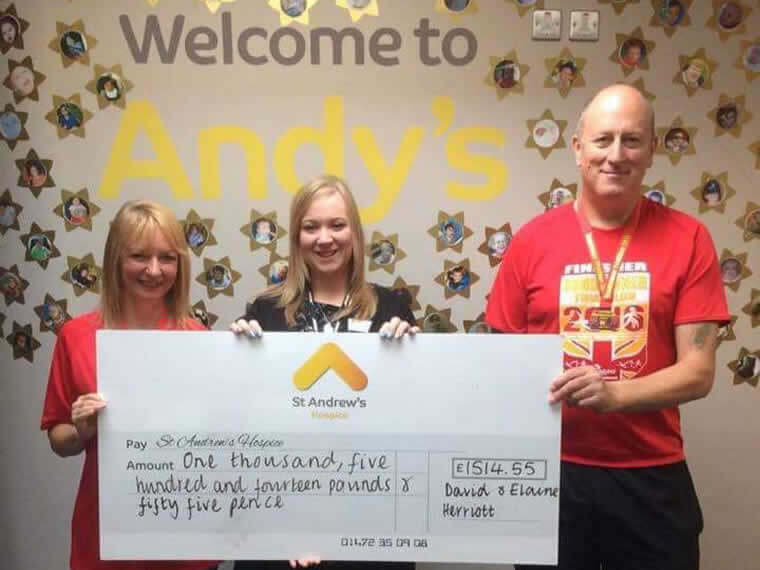 David Herriott and Elaine Herriott both completed this event and raised £1,514 for Andy"s Hospice. We was exceptionally thankful for all the support we had received from our friends and the sporting community.